Another fun company I met at the Mom Meets WOW! Summit was Zevia. We sampled various flavors of their soda and even their new sparkling beverages at the summit. I’m not typically a soda drinker but these aren’t typical sodas. These sodas have no calories or sugar and are sweetened naturally with Monk fruit and Stevia. They are sold at Whole Foods and other grocery stores. Lots of fun flavors including Dr. Stevia, orange and strawberry. It does taste different than traditional soda but I love a product that uses natural ingredients and no artificial colors. It’s worth a try! Want to win a free 6-pack of cans (or 4-pack of bottles)? Leave a comment below to be entered to win. 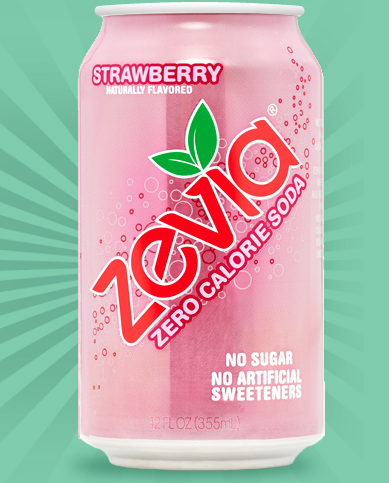 Let me know if you’ve tried Zevia and, if so, what’s your favorite flavor? Enter by 9 PM on 1/30. Two lucky winners will be notified by email. Want to try it now? Print a coupon HERE for $1 off two 6-packs. Pingback: » Zevia Giveaway- Enter Today! I would love to try grapefruit or cola! That strawberry sounds good, would love to try. My haven’t tried it but would love to! thanks for the opportunity! I have tasted Zevia and it is refreshing and delicious!